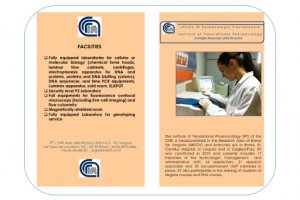 The Institute of Translational Pharmacology (Italian acronym: IFT) is an Institute of the Italian National Research Council (Italian acronym: CNR). 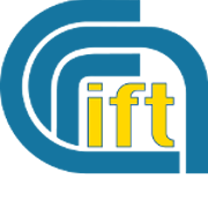 Scientists working at IFT, established in 2010, are deeply involved in carrying out research programs and projects relevant to the so-called “Translational Pharmacology”, that is considered one of the most exciting frontiers in biomedical research. “Translational Pharmacology” is the process to accelerate the translation of basic research discoveries in biology and medicine into novel therapeutics and diagnostics tools. In this view, activities of the IFT cover a wide spectrum of preclinical and translational investigations aimed at to understanding of the complex mechanisms of disease and related targeted therapy action, with a particular attention to cancer, neurological disorders, infectious and inflammatory diseases, and to their transfer into clinical practice.